Cider pressing with Andy’s family at their property on Vashon Island is my absolute favorite fall tradition. 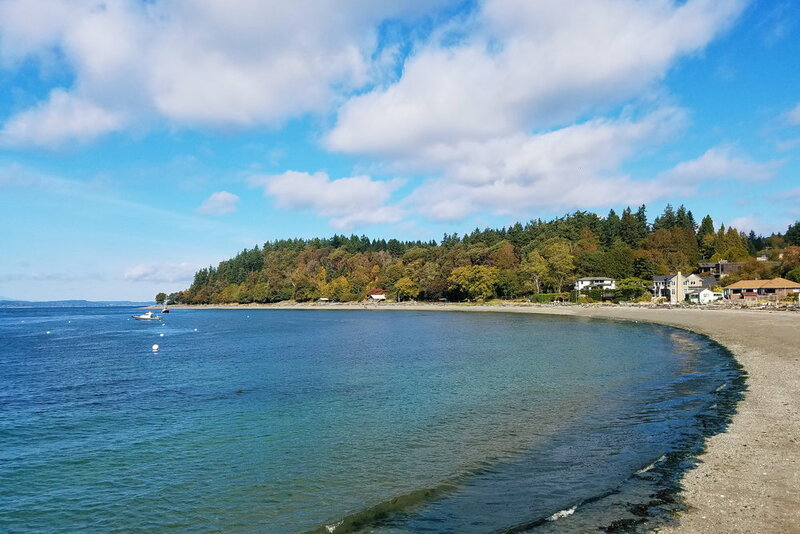 While it’s only a short ferry ride from Seattle, Vashon feels like a peaceful and remote retreat, far from the noise and bright lights of the city. After talking about it for years, this year Andy and I finally managed to spend the weekend in the Birdhouse - a tiny off-the-grid cabin nestled amid the old-growth maples. We got a late start Saturday morning, but still arrived on Vashon with plenty of time to wander around town, exploring main street and stocking up on pastries, tea, coffee, and cider. After all our drinking and window shopping, we loaded all our goodies into our packs for the short hike down to our home for the night. It was surprisingly cold in the Birdhouse, but our toasty sleeping bags kept us plenty warm! 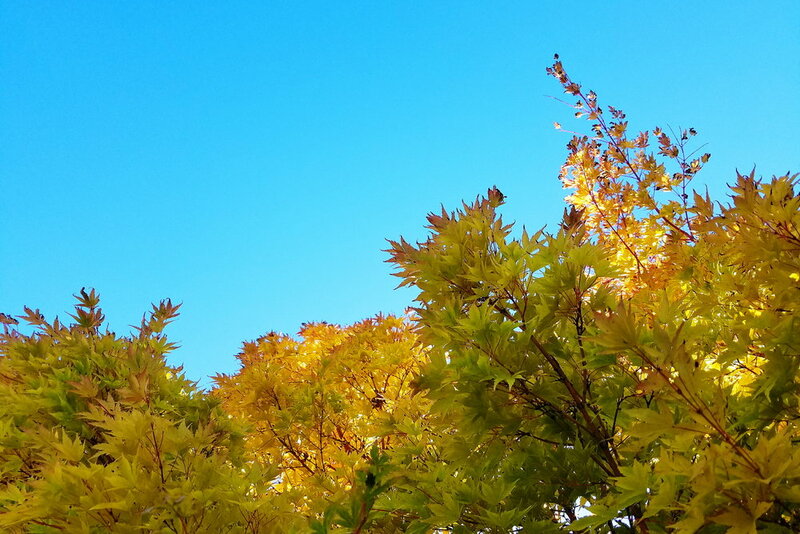 Since last week, the golden trees around our apartment have already lost most of their leaves. 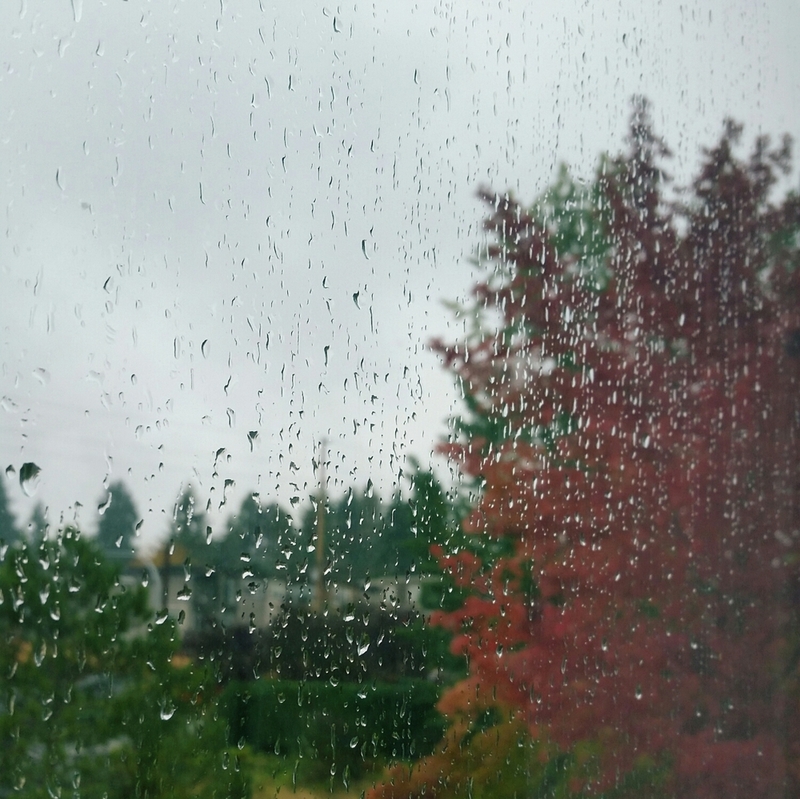 While I miss their brightness out the window, many of the other trees around Redmond are just beginning their transition into fall. Late in the week, my sister delivered her second daughter, and I was able to join my mom and niece in visiting the hospital to meet my new niece when she was just a few hours old. Seeing the amazement of my two-year-old niece when meeting her baby sister was especially adorable. Between my busy work schedule and the nearly constant rain this week, I only managed to make it outside a few times. Thankfully with the gorgeous fall foliage coloring all the trees of Redmond, it doesn't take much time outdoors for me to feel completely content. I wish I had more time to get out to enjoy the constantly changing leaves in the area, since the scenery can change dramatically in a day this time of year. One day this week, driving to the store to get lunch, I drove past some vivid rust-colored trees and thought about stopping to take a few photos, but didn't have the time. Two days later, when I drove by again, the branches were completely bare of that beautiful foliage. 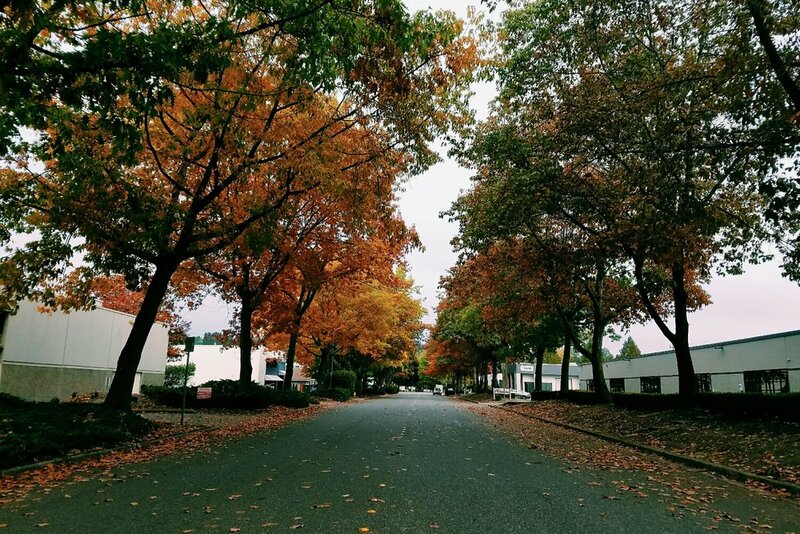 I may not have a photo, but at least I had the chance to see those beautiful trees! Before I know it all the leaves will have tumbled from their branches and we'll be well into the darkness winter! For several years now, I've wanted to take more photos, to improve my observation and photography skills, and to appreciate and remember the smaller moments of my daily life. These new weekly photo posts will be my way of sharing those photos and moments. For now, all the photos featured in these posts will be taken with my handy phone camera. 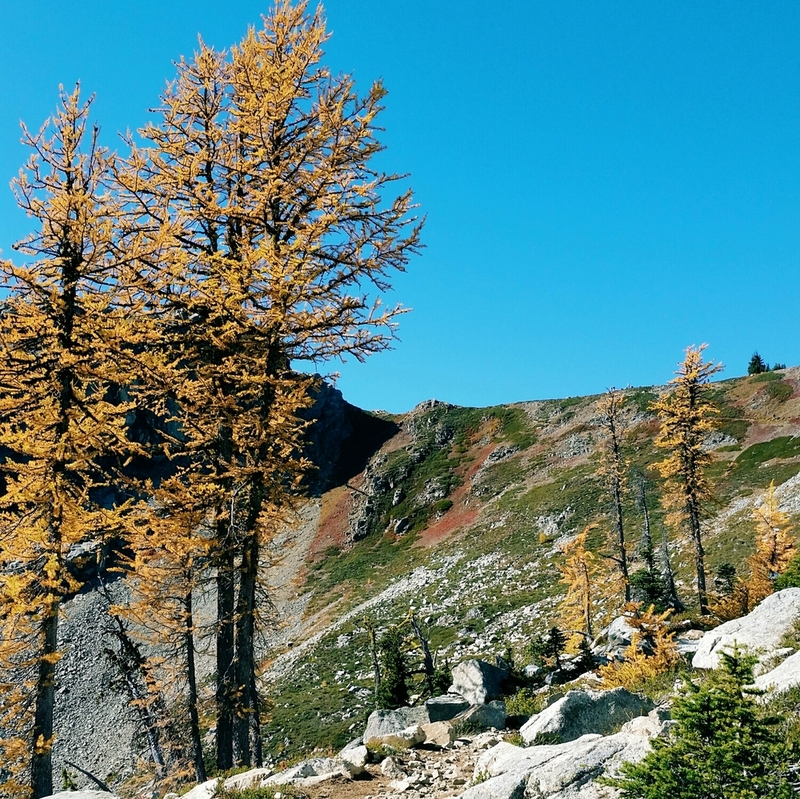 our first hike in the north cascades on sunday was spectacular. read all about it here.